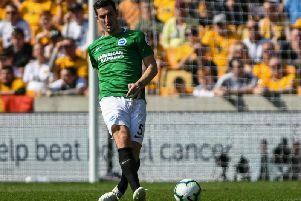 New research has uncovered details into the working lives of football fans and discovered which fans earn the most, with Brighton topping the list, averaging an annual income of £43,000. Seagulls supporters are followed by Chelsea (£41,000) and Leicester (£40,000). Crystal Palace fans were the most likely to be unemployed (34 per cent), with Liverpool fans closely following (32 per cent). The working statistics of football fans have been revealed, with those supporting Cardiff City, who were newly promoted to the Premier League, found to earn the least, bringing home an annual average of £19,000. The team at https://www.footballtips.com/ carried out the study in a bid to understand fans of the beautiful game further. For the purpose of the study, 3,400 UK-based adults aged 18 or over were quizzed, all of whom revealed they followed football and supported at least one of the Premier League teams. Respondents were split evenly across all 20 teams. Initially, all respondents were asked “Are you currently employed or unemployed?” as well as being asked to state which team in the Premier League they supported in order to determine club patterns. From this, researchers found that the teams with fans most likely to be unemployed were Crystal Palace (34%), Liverpool (32%) and Everton (29%).